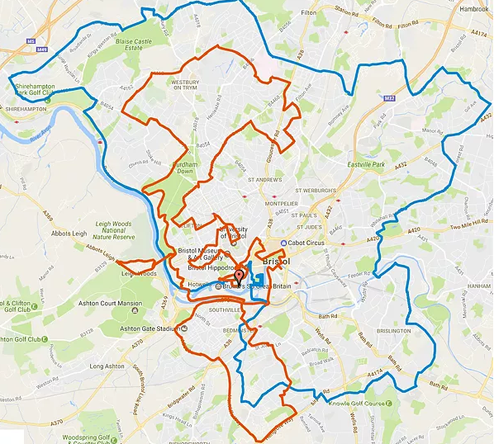 Nightrider Bristol 2019 will start and finish in Broadmead on Saturday 6 and Sunday 7 July. ​The organisers have included Bristol’s best known sights into the route, and you can expect to see some hidden gems along the way – it really is a unique way to explore the city. ​Full support, back up and regular break stops are provided throughout the night, and a well-earned breakfast and medal at the finish. If you choose the 100km challenge, you’ll cycle the full route below. You will cycle the blue route first followed by the red route. If you would like to do the 50km challenge you can choose from the outer loop or inner loop. Where possible the organisers have planned the route to avoid busy roads. You will be cycling in the city centre, but not until later at night when there will be less traffic. There will be some busier sections, so please ensure you are confident cycling on the road. The roads are not closed. All of the route is street lit, except for one short section in Clifton. You will need suitable bike lights. 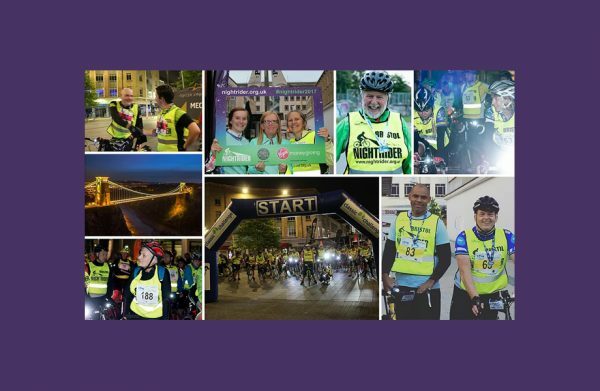 You can sign up for Nightrider in two ways – either an Own Place or a Charity Place. On an Own Place you’ll pay the event cost yourself (£89) and have no minimum to raise. On a Charity Place you can sign up for £35 and commit to raising a minimum for any of the amazing Nightrider Partner Charities. These prices are current until 31 March 2019. After this date they will increase. Sign up early and save! The deadline for entries is two weeks prior to the event.